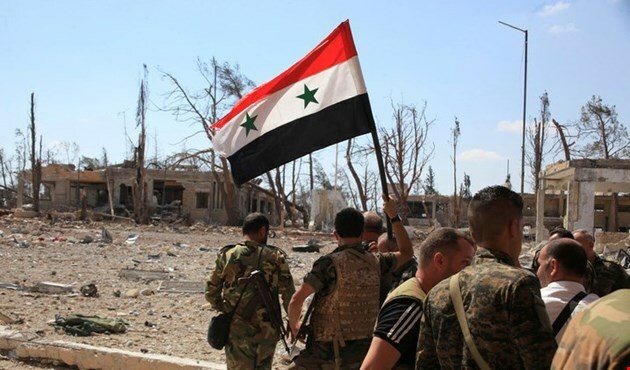 It’s now official, the Syrian military has unchallenged control over the Syrian-Iraqi nexus-point at Al-Dhulay’aat on the outskirts of Hameema Village. 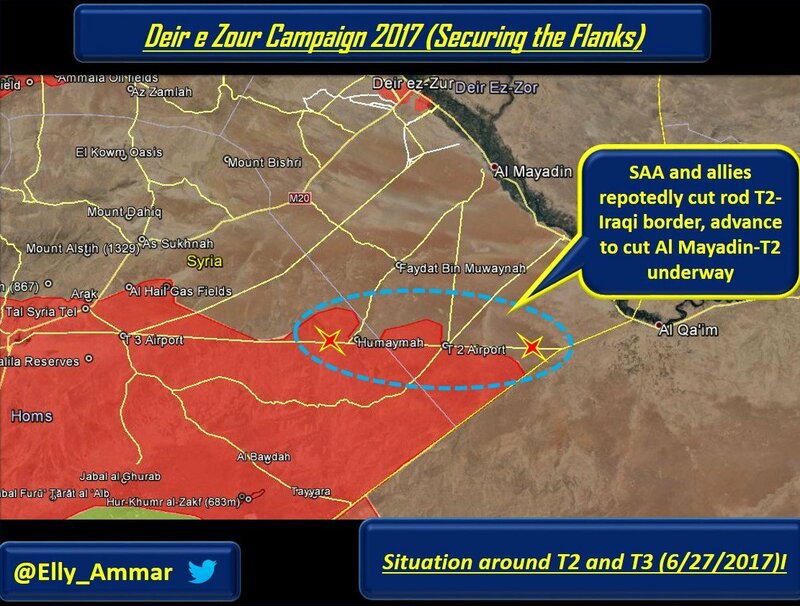 Attacking ISIS from the Third Oil Station to the Second Oil Station, the army has done what nobody expected which is to block any attempt by the American-supported cannibals at Al-Tanf to move northward and establish a rump state designed to impede Iran’s effort to extend its natural gas pipeline all the way to Syria’s coast. 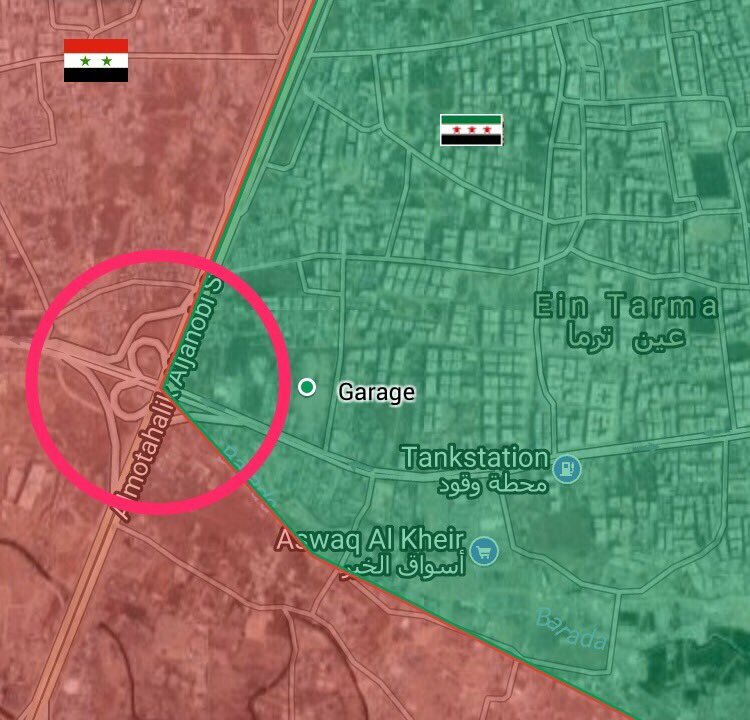 The army, as you all know now, has cleared out all obstacles in the way of the Baghdad-Damascus Highway, essential to moving weapons from Iran to Syria, and, provocatively, to HZB. As I write this note, SAA engineers are dismantling a network of IEDs and land mines planted by the escaping ISIS rodents to slow down the advance of Syria’s legitimate forces. Trump’s Zionist-conceived plans in Syria appear to be at a crossroads. With no strategy in sight, Trump is now relying on his instinct while distancing himself from his senior advisors. It is also quite clear that the U.S. is in a mess diplomatically. Just today, for example, WOG of the YEAR, Nikki Haley expressed some fear about Russia substituting in for China in helping North Korea. Only an idiot like Haley would say something like that while promoting a sanctions regime against the Kremlin. You impose sanctions on Russia but expect it to collaborate with you on projects such as destroying North Korea? It’s just amazing. Note also the constant clamor over Rex Tillerson’s fall from grace. It is evident that his style of leadership at Foggy Bottom is leaving Trump and his Zionist cronies unimpressed. Tillerson is now on the road to oblivion as he navigates a ship without sails or a rudder. With a depleted budget, it is hard to imagine the Department of State functioning professionally while Trump is in office. Jared Kushner reportedly returned from Occupied Palestine with little to show for his efforts to bring about Trump’s trumpeted plan to solve the Zionist-Palestinian conflict. This slimy “katsa” and his companion, some fellow Zionist dude named Greenblatt, visited the useless “president” of the Palestinian Authority and, reportedly, were given the cold shoulder because they presented nothing but Mileikowski’s (a/k/a Netanyahu’s) conditions. That the U.S. regime would actually send a duo made up of raving Zionist trash, neither one of whom has a whit of diplomatic experience, not to mention the fact that Kushner is the president’s son-in-law, is testament to the witlessness of the sitting idiot in the White House. How could anyone expect a Palestinian leader, even if he is as criminally corrupt as Abbas, to constructively deal with a gang of Jewish thugs like Kushner and Greenblatt? More diplomatic disasters from the White House. Besides his much-ballyhooed visit to Hama City, the president dropped by Russian officers at Humaymeem Airbase just south of Latakia and inspected Russian aircraft used to bomb the living daylights out of America’s prized savages. He was also given the honor of sitting in the cockpit of a Sukhoi bomber. Dr. Assad served in the Syrian Army Medical Corps, unlike his father, General Haafizh Al-Assad who was a career pilot in the Air Force. President Assad, seen here inspecting a Russian tank called the “Terminator” at the Humaymeem Base. This tank is capable of neutralizing an enemy tank at 6 kilometers distance. All in all, it’s been a good year for us. 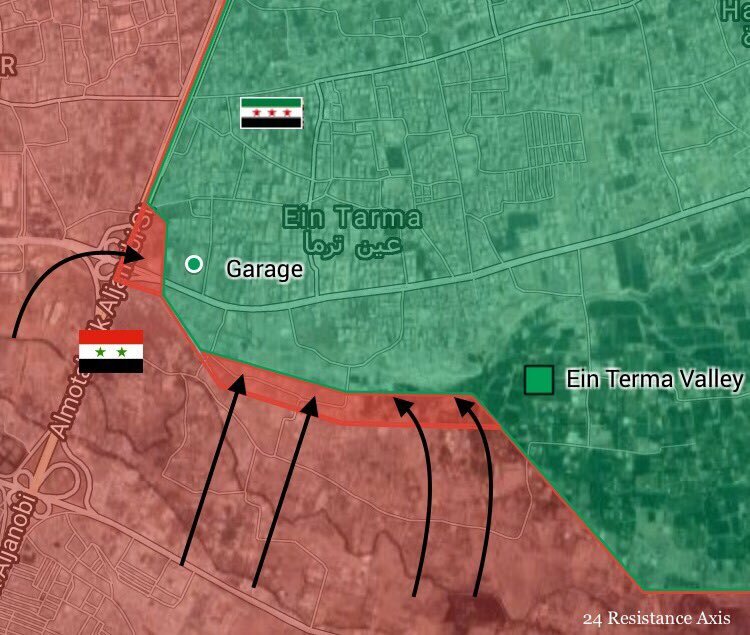 The SAA is on the verge of reaching Dayr El-Zor to relieve the courageous fighters of the Republican Guards led by the legendary “Mad Druze”, Maj. Gen. ‘Issaam Zhahreddeen. The army is also bordering on Al-Raqqa where the PKK and YPG are fighting ISIS under the umbrella of a queer looking alliance which tries to balance its commitments between Turkey and the Kurdish establishment. In the meantime, expect a sudden shift in Saudi policy viz a viz Syria. Lebanese pro-Syrian entertainer and political columnist, George Qardaahi, has received assurances from the Sudanese president that the new clown prince is intent on changing course. This is probably to save his bacon (excuse me) when Syria is free to start exterminating the entire House of Saud. Terminate the House of Saud! Clown Prince Salman to be King of San Fransisco Gay Rights Parade! How many men will fart in his face to satisfy him? Great news. Thanks Ziad. Up the brave engineers who detect and destroy the mines. Nikki Haley is really ridiculous. A news bulletin from Al-Masdar is saying that the Judaics are at it again air-bombing SAA troops in the Golan Heights. This is the 3rd or 4th attack in as many days. Surely, the Zionazis can’t accept the fact that their Oded Yinon plans are going down the kosher crapper. Pretty soon, they’ll be hearing nothing but air-raid sirens down Haifa, Tel Aviv way. Then, KABOOM!! eye disagree i am jewish and understand the arabs minds. are golani aman brigades destroy all comings and goings my life already. US observing Shayrat airbase and spread propaganda about a coming CW attack. here is an anti SAA and Assad article i found. It describes what the west’s plans regarding DZ may be. These people are stuck in their own illusion, and a good blasting may wake them up. Ziad, thanks a lot for the masterly exposés on Syrian battlefield and the politics of the Zionist. All in all the good people of Syria will get their deserved victory as a result of tenacity and examplary truth of purpose. Long live Syria! the majority of americans are getting their dose of Military industrial Lies from fakeboook. This vile creation is the worst thing that happened to the internet. The manipulation of public opinion has become very personal, and invades with the fear of ostracizing the fakebook user. Sad because many of the persons are bots. and what is up with the intrusive “news” feeds? Hayley has been to Israel for formal insertion of the Samantha Power implant under the personal supervision of Danny Danon. She is now fully certified. Danny Danon makes Netanyahoo look like Mr Intelligent Moderate. Putin is a dummy a chicken. A smart politician doesn’t sit back & watch it’s ally being gangbanged. U show weakness u’ll pay. Syria & iran will both become iraq & libya trump can sense victory. Even if they bomb presidential palace in Damascus Russia will only condemn it that’s all. 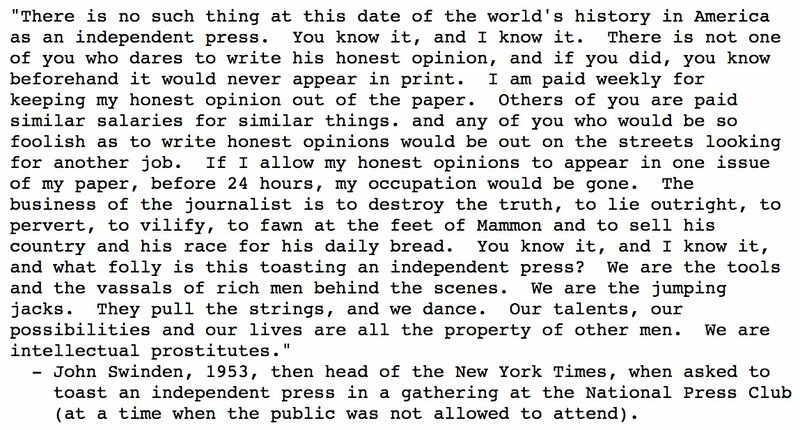 The Hersh article was originally commissioned by the London Review of Books, a fairly well known outfit. At the last minute, they chickened out over publishing the article. Hersh then had to resort to the German outfit. 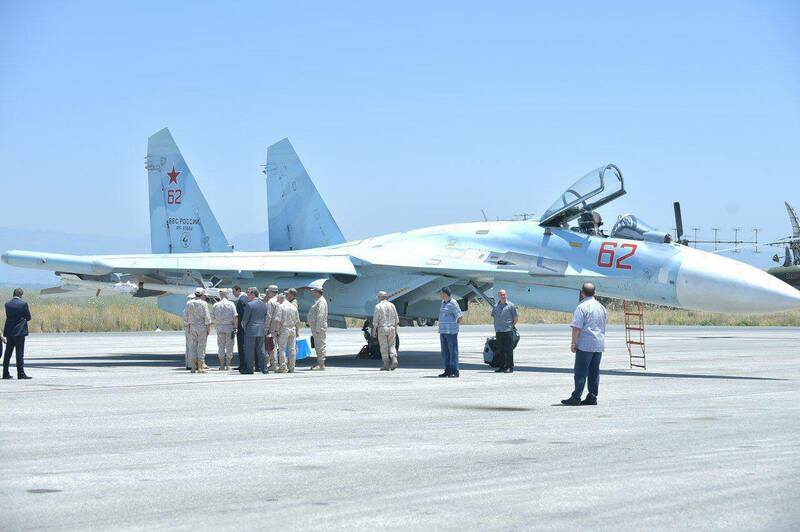 Assad not only saw the Terminator and other new items of RUssian military hardware, he inspected a significant new arrival at Hymeim, a Su-27SM3 tail number red 62. This is the last Su-27 ever produced and it was carrying a couple of new RVV-SD medium range air-to-air missiles between the intakes for the two engines. RUssia seems to like testing its new hardware in SYria. Maybe they will have a chance with these? This photo shows just how humungously huge the Su-27 really is. Soon the flag of freedom will fly its banners of justice for all over the ruins of takfiri terrorism once more. Expect more badmouthing of Russia, Syria and its allies by the usual suspects in the days to come. According to this article, Russia and the United States are seeking an agreement for the de facto partition of Syria. This is just a modern day version of the Sykes-Picot Treaty between imperial Britain and France: a colonial carve-up. Apparently, Sputnik will delete your comment if you use the word Zionist in it claiming its a racist term, which is deep Bantha Pudu and rather sad. It seems thad Mustafa Tlass has passed away. Very important person in his days of rule. He was creator of modern syrian army with all pros and cons. He was against bashar, but he was not against baathist syria. His son manaf is very controversial person because of his double game. “Terminator” tank looks a lot more dangerous than Arnold Swartztenegger. This is amazing. I aw the article on zero hedge about the Syrian plane shoot down; it said that the US plane was old tech. Seriously, the US military must be getting terrified! They must be so in denial of their fear of Russia, China, Syria and even Iran now that this is why they keep saying outrageous crap. US is losing everywhere, at everything. Americans are demoralized by old ussr tactics. They also have been demoralized by zionist agents who want to reverse the role given to them by the UN and become the masters of the UN. Later, the pentagon learned that demoralized people where useful and easily recruited, so the government of america it’s self has demoralized us. The corporate greedy bastards have demoralized us because people with no morals are easy to make money off of. in essence, the american populous is completely ruined and nearly useless. Hello all! I have not posted much last day. Was busy with my own Twitter account and Crimes of Britain one! Just found these pictures. Enjoy. I did. I read all comments! Trump is not in complete control of the armed forces. There is a small group who is blackmailing Trump. The group is loose but it includes Comey, Mcmasters, Andrew Mccabe, and Mueller and a few others. Under their influence but not connected completely include Mattis. The main group works closely with media heads in the US. Trump has been threatened with scandal and possible arrest of himself and others, and even assasination of family members if he does not cooperate, he does has some control but not complete. I expected American invasion to topple Assad within 3 days. Keep moving SAM’s and get ready to receive these fools! I have not been harassed by PSYOPS for 1 week now and that is ALWAYS A SIGN they are preparing something!!! Get ready to deal with them! Stupid is as stupid does… and almost gets killed..
What is wrong with this picture? The Americans think she is a hero and if this is their hero, the world has a lot to worry about. So many guns, none of them know how to use it. Ivan Sidorenko listing 21 martyrs from Golan Regiment NDF during zionist attack on Ba’ath city. That was funny, I saw pictures of US flags on some personal carriers left lying around on main roads. But no US soldiers… Seems, the Russians have left Afrin. Russia pulls back most of it troops from Kafr Jannah camp in Afrin, only 14 troops which may leave soon as well. How are US forces going to get to Afrin? Its borders are controlled by Turkey and Syria only. Something’s cooking, as the US has ramped up its spy plane patrols off the coast of Syria [3 planes now]. The SAA seized a gas station from the rebels at Sanabul, in Ain Tarma. Вестник Дамаска. Hard to believe the battle for this city was so bloody and ferocious, but peace has been restored. Qatar moving east – Iran supporting them !! Tells me that Qatar may well get their pipeline ‘rights’ through Syria – now on Syrian terms ! This would surely spell death for the Zionist/US ‘pipe’ dream !! If Putin can pull off the Zio/US demise – WITHOUT WW3 – it would surely be the greatest triumph in world history !! Ziad – Your written ‘eloquence’ is unmatched and unsurpassed ! 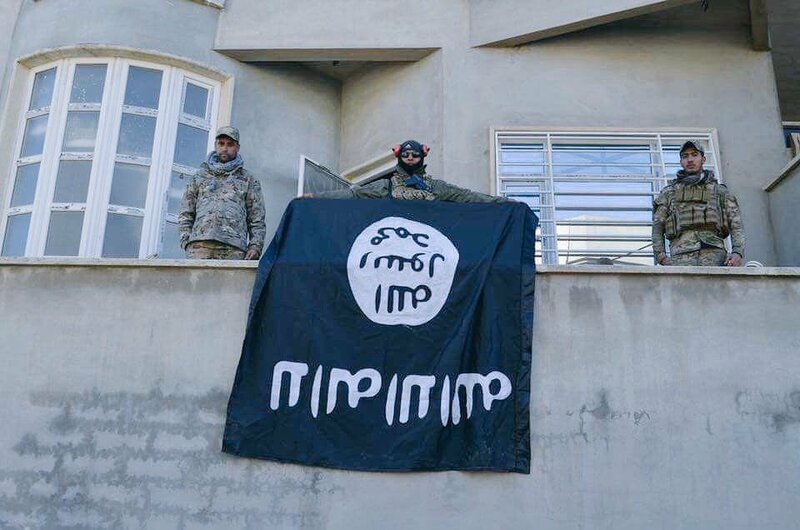 Black flag down, Mosul Liberated. Each has said many times looking forward to getting together. Time will show. Mike.